Yasuo Ryoki graduated from Kobe University Faculty of Law and joined Osaka Gas in 1979. 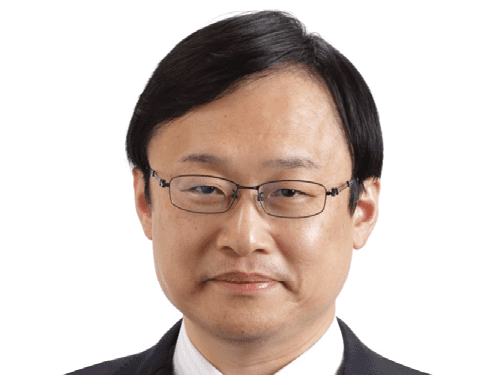 He has been active in wide areas of businesses in Osaka Gas Group until today. In particular, he led LNG trading (procurement and resale) and investments in upstream assets, LNG tankers and overseas terminals for more than 13 years in total. In addition to General Managers in LNG, he has served as a manager of corporate planning, capital markets finance, GM of residential sales, and as the CEO of functional chemical subsidiaries. Since 2013, he was appointed as the Senior Executive Officer and Director of the Board and a Head of Commercial and Industrial Marketing Business Unit. He promoted gas sales businesses in Asian countries in addition to demand development　activities in Japan. From April 2016, he gives advice to Osaka Gas Group’s international strategy and managements of upstream companies as an Advisor to Osaka Gas and as a Chairman of Osaka Gas Australia.